The Fujifilm X-T30 offers the same great image quality of the X-T3, with the same 26mp APS-C CMOS sensor, and the same image processor, but in a more compact camera body, and at a more wallet friendly price. There's also high quality 4K CINE video recording, and with a retro style design, and plenty of external control, there's a lot to like about the X-T30, making it a great time to invest in the Fujifilm X Series. The Fujifilm X-T30 is Fujifilm's mid-level APS-C mirrorless camera with an electronic viewfinder (EVF). The X-T30 features the same 26mp BSI CMOS sensor as the X-T3, and is an update to the X-T20, which is Fujifilm's best selling X series camera, striking a balance between high-performance, and affordable pricing. 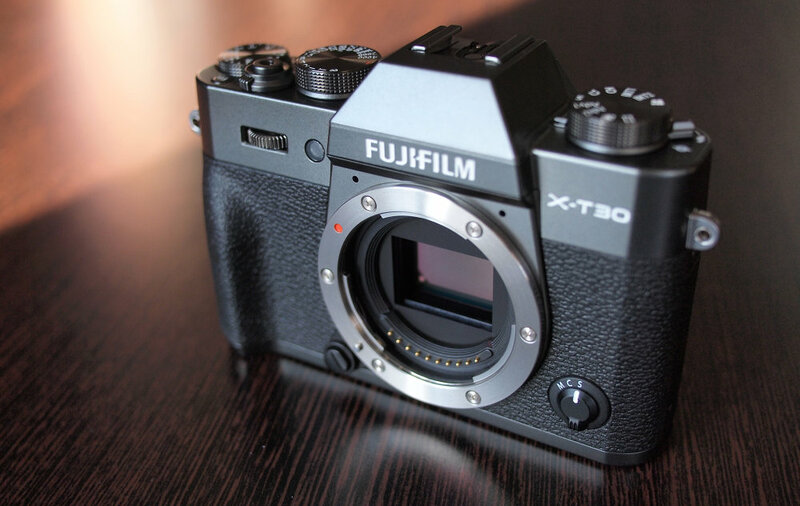 The camera will initially be available in silver or black from 20th March, with a Charcoal silver (grey) version coming in May 2019, with prices starting at £849 body only. 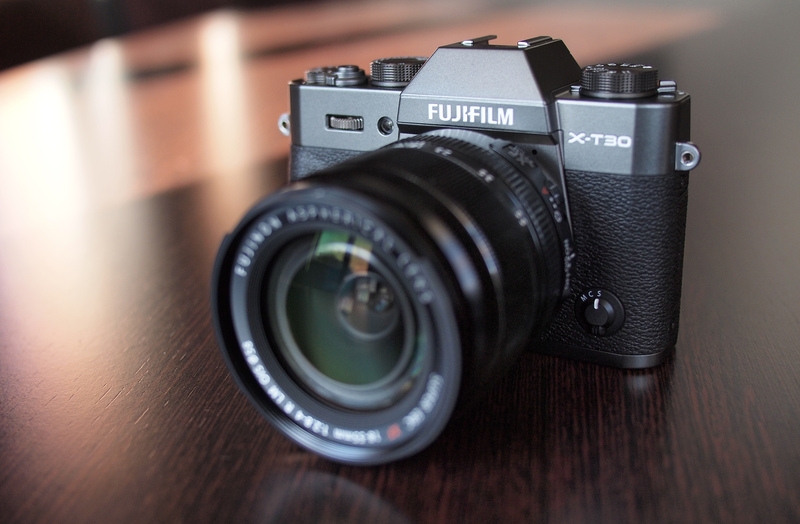 Fujifilm are calling the X-T30 "the little giant", however we'd call it a "Mini X-T3"
The X-T30 is more compact than the X-T3, and weighs just 383g body only, as well as featuring a thinner screen on the back, along with other design changes, when compared to the X-T20. Featuring the same 26mp BSI CMOS sensor and technology that's available in the Fujifilm X-T3, the X-T30 has a number of high-end features, inherited from the X-T3, including 30fps continuous shooting (at 1.25x crop), 4K video recording, ETERNA film simulation and more. The X-T3 was called the 4th generation of sensor and image processor, and the X-T30 is being called "Generation 4.1" – with this bringing a number of new features. As the X-T30 adds new features, and updates, these will be added to the XT3 via a firmware update. 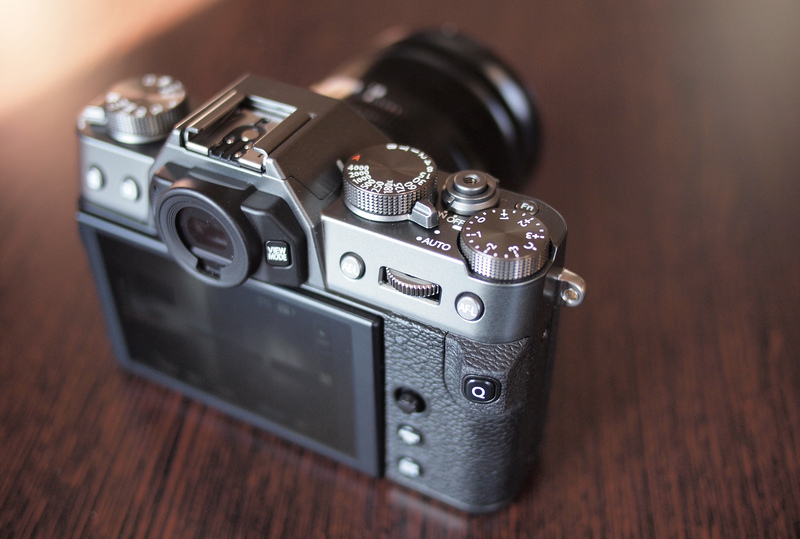 The X-T3 update will be available in April. With the same 26mp APS-C X-Trans BSI CMOS sensor as the X-T3, the camera offers 4K video recording. This is made from 6K footage (a 21.9mp image) which is downsampled to 4K UHD / CINE resolution at 30fps. The camera can output 4.2.2 10bit to HDMI or record 4.2.0 8bit to the internal SD card. The audio recording quality has been improved, with the camera recording digital high bit-depth 24bit 48KHz audio. 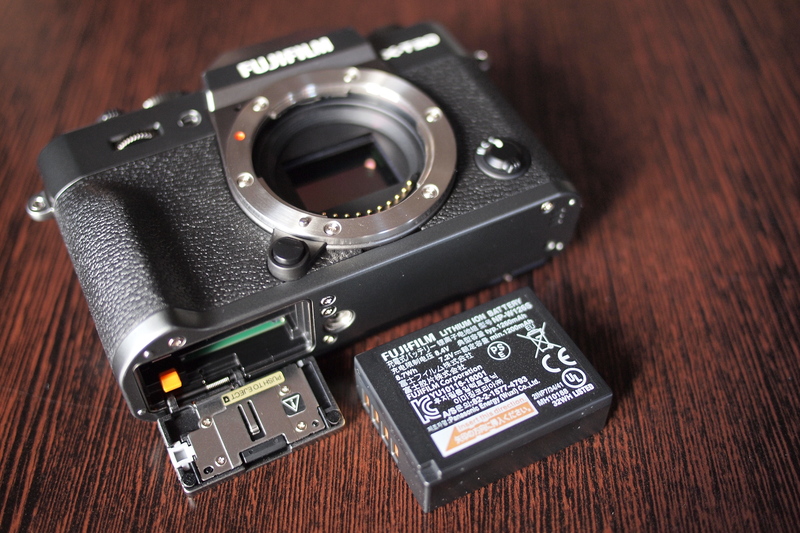 Fujifilm has spent time updating the autofocus system, updating the AF algorithm. Using the same sensor as the X-T3, there is 100percent coverage of the sensor, with 2.16m phase detection pixels. Fujifilm says that this gives more precise and faster AF (The image processor processes 4x more data than the X-T2/H1 cameras). There's improved face and eye tracking, which supports smaller faces, for example when someone is further away, it will detect them sooner. This is also improved for stills and video. In addition, the camera offers improved exposure, which remains constant even if the camera detects black hair. A new feature is Face select, which lets you choose the main subject with the touch screen. There's also non-stop phase detection AF, and when focusing from distance, Fujifilm says there is up to a 300% improvement in focusing speed (especially when using telephoto lenses). These new features will be added to XT3 firmware due April 2019. High-speed continuous shooting: The X-T30 offers up to 30fps 1.25x crop (16mp), using an electronic shutter, for up to 26 frames (JPEG), you can also shoot at 20fps (1.25x crop), which is blackout-free, again using the electronic shutter, for up to 53 frames (JPEG). It's possible to shoot at up to 20fps at full resolution using the electronic shutter, or 8fps using mechanical shutter, for up to 90 frames (JPEG) at full resolution, or up to 18 raw images. The X-T30 has half the buffer size of the X-T3. 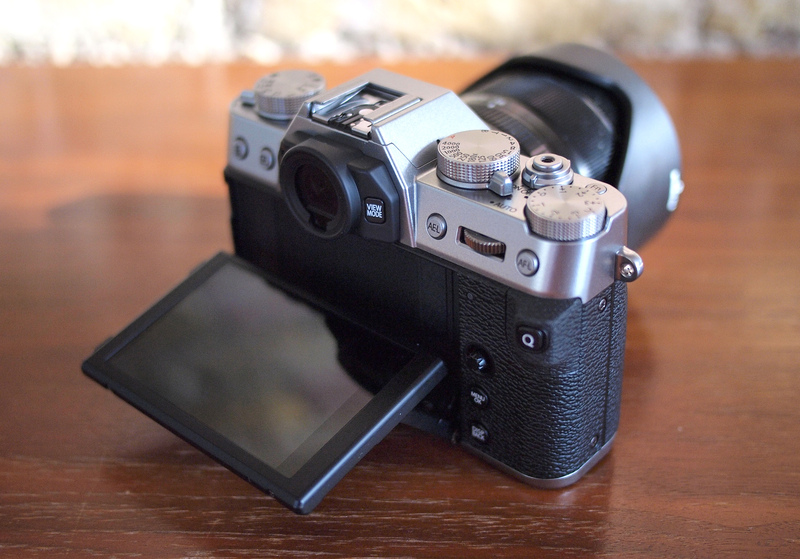 Other features include Auto WB lock feature, flicker reduction, Colour chrome effect, Warm/cool adjustments for mono / Acros. 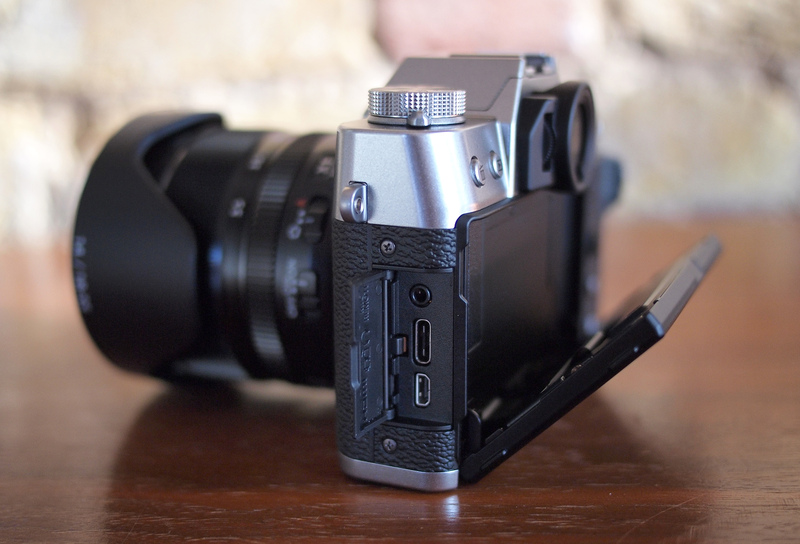 The X-T30 supports USB-C charging, as well as USB-C headphone adapters. The rear joystick is the most noticeable change to the camera (even though it's small) and the biggest change to how you'll use the camera. This makes it quick and easy to change the focus position, scroll through photos or navigate your way through the menu system. If you're used to using the Fujifilm X-T3, then switching between the X-T3 to the X-T30 will be straightforward. The grip has also been changed, with the Q button repositioned here. This gives the camera a slightly larger rear thumb grip. 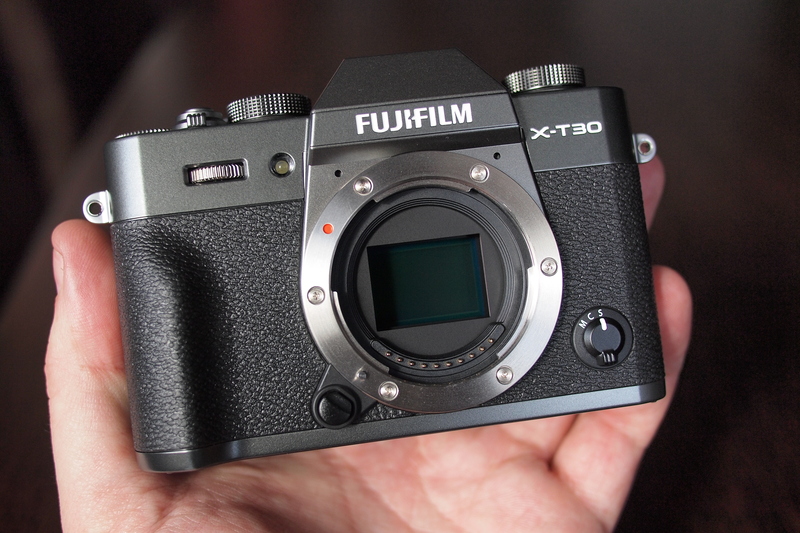 The camera has the same solid build quality as the X-T20, with top and bottom metal plates. There's also a built-in pop-up flash. On top is a Fn/function button that can be customised, and you can also customise the AE-L and AF-L buttons, as well as what happens when you push in the rear dial. Another way to customise and set the function buttons is to simply hold the button in for 2 or 3 seconds, and then you’ll get the menu pop-up, with all of the available options. There are four touch-screen "swipe" functions that can be customised. The top shutter speed dial lets you quickly set the shutter speed, but you don’t have to use these, instead you can set this to T, and use the rear dial to set the shutter speed more precisely. The front command dial can be used to quickly change the ISO speed (on default settings), and this can be customised. The 3inch touch-screen is thinner, but still can be tilted up and down. The touch-screen lets you swipe different directions to quickly access different settings, or you can use it to set the focus point, take photos, or set the AF area. If you want, you can switch the touch-screen controls off. The screen quality is good, with very good colour reproduction, and an accurate representation of what you get when you take the photo. I.E. WYSIWYG, what you see is what you get. Unfortunately, the screen can't be tilted enough for selfies. The electronic viewfinder (EVF) has an eye-detection sensor so that it will automatically activate when you hold the camera up to your eye. The view is good, with matching colour reproduction, and can help when shooting in bright sunlight. The magnification is 0.62x, so may seem small if you're coming from a larger camera, but should impress if you're coming from a smaller camera. 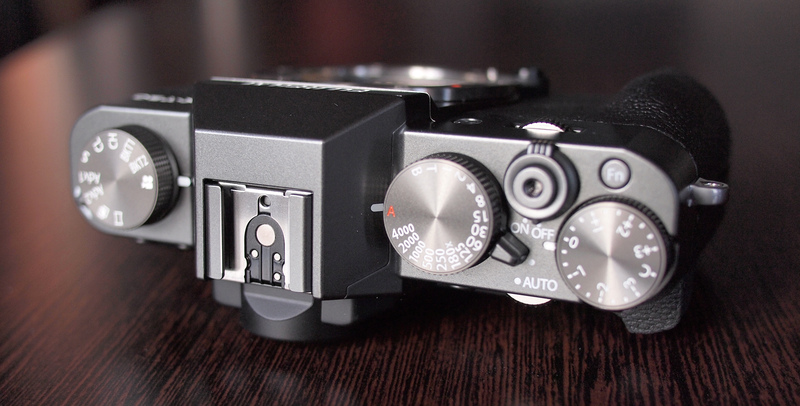 The camera has full manual controls, with shutter and aperture dials, plus an exposure compensation dial. With front and rear control dials, as well as direct manual controls, the camera is intuitive to use and is an enjoyable experience. A switch can put the camera into Auto mode so that even if you've somehow got the camera settings wrong, you can still take photos, and let the camera work out the best settings for you. Focus is rapid, with the camera quick to lock on to the subject. Face and eye detection focus works well, particularly in good light. In low light conditions face detection can struggle at times, and focus becomes slower. You can choose between 117 or 425 focus points. For most people 117 will be plenty, but for additional control, it’s nice to have the option. The menus are the same as found on other X series cameras, and there's a "MyMenu" section where you can put your favourite settings so that it's quicker to get to settings. The Q button gives quick access to settings on the rear screen as well, although care needs to be taken to ensure you don't accidentally press this, as you can end up changing settings unexpectedly. Battery life is rated at 380 shots, however, the number of shots you get will depend on your shooting style, and settings. USB Type-C charging is possible, which means you should be able to charge whenever needed, however, we'd also recommend picking up a spare battery. 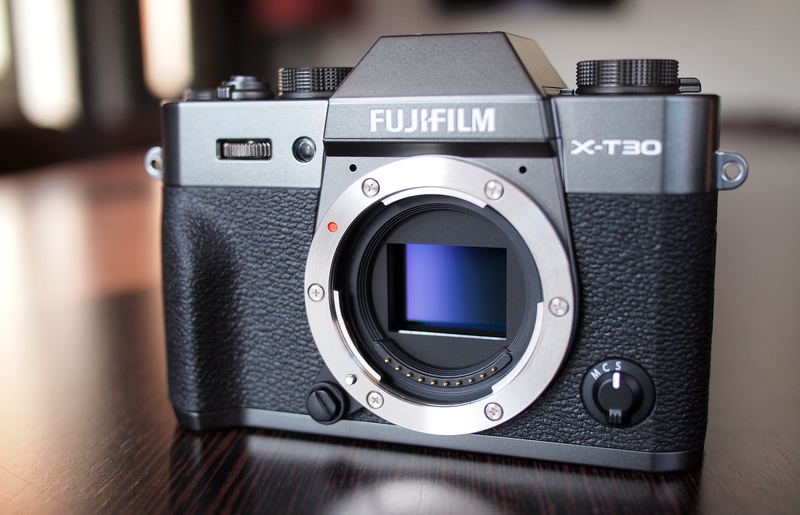 FYI the Home sheet say X-T3 when, of course, it should be X-T30. Or we call it a Jananese mini Q2 with more perks? Any thoughts if Fuji might disable recording limit in future firmware update? Josh, My apologies, I shouldn't be telling you folks how to do your jobs. If you can delete my post, please do. Thanks. My apologies, I shouldn't be telling you folks how to do your jobs. If you can delete my post, please do. Thanks. I've had an email reminder today about ePhotozine, and I am glad I did. I have an xt3 and xe3, but don't like the xe3 and the way the menus work. It is also far too easy to change the exposure compensation dial. The xt3 is fantastic and, important for me, I like the ISO dial, which the xt30 doesn't have. The locking buttons on this (and the shutter speed dial) to stop it being accidentally turned are great, I wish the compensation dial had that too, though on the xt3 it's not easy to turn accidentally as it doesn't hang over the edge. So I'm selling the xe3 and getting another xt3. I would love the xt30, especially for its size, but the lack of an ISO dial is the killer for me. This article confirms it. I hate changing the ISO on the xe3. I'm definitely a dial rather than a menu person! I've had an email reminder today about ePhotozine, and I am glad I did. I have an xt3 and xe3, but don't like the xe3 and the way the menus work. It is also far too easy to change the exposure compensation dial. The xt3 is fantastic and, important for me, I like the ISO dial, which the xt30 doesn't have. The locking buttons on this (and the shutter speed dial) to stop it being accidentally turned are great, I wish the compensation dial had that too, though on the xt3 it's not easy to turn accidentally as it doesn't hang over the edge. So I'm selling the xe3 and getting another xt3. I would love the xt30, especially for its size, but the lack of an ISO dial is the killer for me. This article confirms it. I hate changing the ISO on the xe3. I'm definitely a dial rather than a menu person! I think you're changing an ISO on a horizontal dial, on xt30. You're right, Vedranpapes. I didn't put it very well. I love being able to see all three settings - ISO, Exposure Compensation and Shutter Speed by just glancing at the top. If only all Fuji lenses had aperture markings too, my cup would run over! As it is, three out of four isn't bad.